AN unfortunate injury has shattered Marnie Hamersley-Smith’s dream of playing the sport she loves on the big stage. 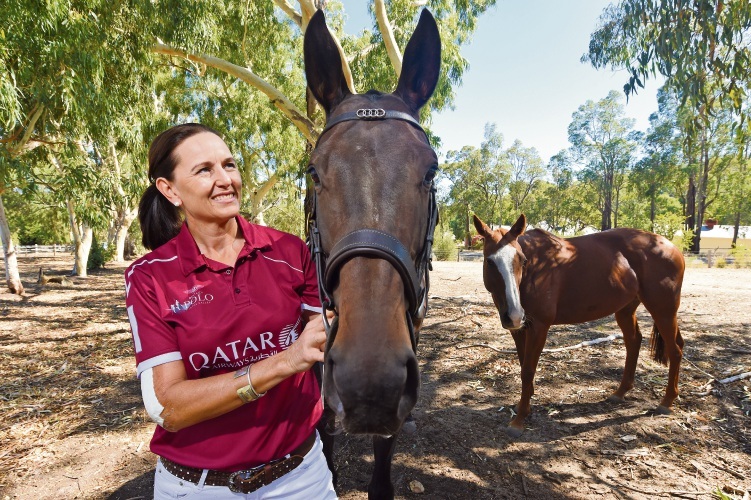 The Jarrahdale resident was slated to participate in next weekend’s Polo in the Valley, where some of the best Australian and international equestrians come together for a game of polo while raising money for Telethon and Youth Focus. An avid rider who was raised with a love of the sport, Ms Hamersley-Smith said she had been looking forward to being a part of the event until an on-field mishap two weeks ago ended her chances of participating. “ I was hit on my elbow by a ball travelling at speed,” she said. “Polo balls are a little bigger than a cricket ball in size and made of a hard plastic so they become like a small missile when hit hard. “The ball split the skin to the bone and chipped it as well so sadly it’s put me out of action for a few weeks. Despite her regret at not being able to play, Ms Hamersley-Smith said she would still attend to cheer on her fellow riders. “I have planned to be there injured or otherwise,” she said. “My ponies are being played by visiting player Indi Bennetto, who is replacing me. “I think it’s important to be there to support not only the event but also women’s polo. Polo in the Valley will be held at the Swan Valley’s Duncraig Stud on April 8.